OTTAWA - Alma H. Carpenter, 83, of Ottawa died 10:33 p.m., Friday, February 1, 2019 at Shawnee Manor in Lima. She was born September 25, 1935 in Lima to the late Joseph and Valeria (Clementz) Siefker. On November 3, 1956, she married Harold E. Carpenter. He died January 16, 2006. Survivors include five children: Richard (Debra) Carpenter of Columbus Grove, Harold Carpenter of Ottawa, Dale Carpenter of Ottawa, Larry (Julie Blosser) Carpenter of Cridersville and Joanna Krouse of Conover; 11 grandchildren; 19 great-grandchildren; a brother, Joseph (Kathy) Siefker of Delphos and a sister, Ann Orosz of Columbus. She was also preceded in death by two brothers: Donald Siefker and Gerald Siefker. 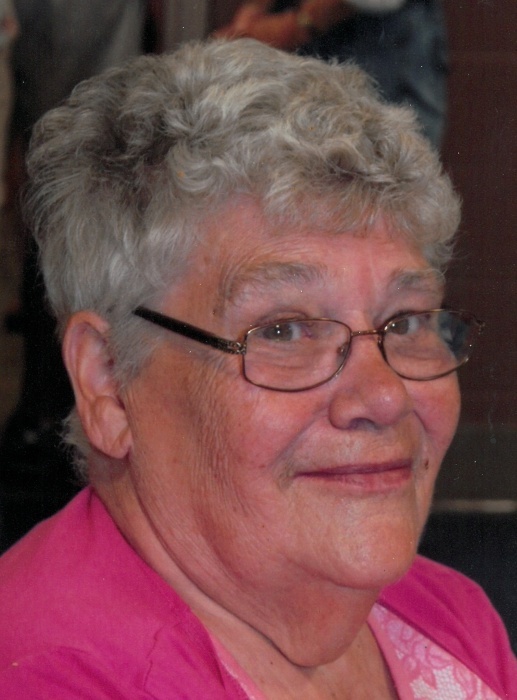 Alma was a cook for the Ottawa-Glandorf School System for 35 years. She was a member of Sts. Peter and Paul Catholic Church, Ottawa, Catholic Ladies of Columbia and a life member of the Ottawa VFW Auxiliary. A Mass of Christian burial will begin 10:00 a.m., Tuesday, February 5, 2019 at Sts. Peter and Paul Catholic Church, Ottawa with Fr. Matt Jozefiak officiating. Burial will follow in the church cemetery. Visitation will be from 2-8 p.m. Monday at LOVE FUNERAL HOME, Ottawa. A VFW Auxiliary service will begin at 4:30 p.m. and a scripture service at 7:50 both Monday at the funeral home.